Teams find compromise after a public controversy about the game. 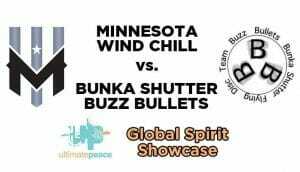 Japan’s top club team Buzz Bullets will play the AUDL’s Minnesota Wind Chill in a showcase game in advance of the US Open, despite earlier pressure from USA Ultimate on the Buzz Bullets not to participate. The game — dubbed the ‘Global Spirit Showcase’ — will take place on Wednesday, August 2nd, at 7 PM Central at the National Sports Center Stadium. The game will be played under AUDL rules1 but without referees, according to Wind Chill General Manager Ben Feldman. The Buzz Bullets — citing a desire to follow USAU and the World Flying Disc Federation’s stance on referees — asked to use observers. The Wind Chill ran it past the league front office and were given approval to do so for the game. The teams intend to experiment with a more actively involved version of observers. 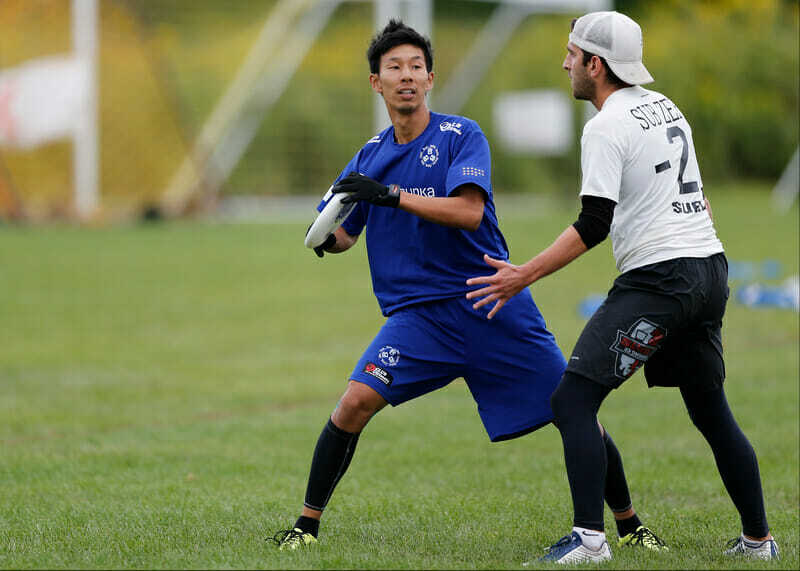 The Buzz Bullets have consistently been eager to set up the game with the Wind Chill after a successful game against the Madison Radicals in 2015. USAU made a push for the game to be played against Minneapolis Sub Zero, the local club team, but the Sub Zero captains (which include Feldman) pushed back and said a Wind Chill game would be preferable. The Wind Chill–who will host the game with full concessions, their VIP cabana option, and a post-game party–have agreed to donate 50% of the game’s gross proceeds to Ultimate Peace, an organization teaching ultimate to Israeli and Arab youth in order to instill more cooperation and understanding in the Middle East region through self-officiation and Spirit of the Game. 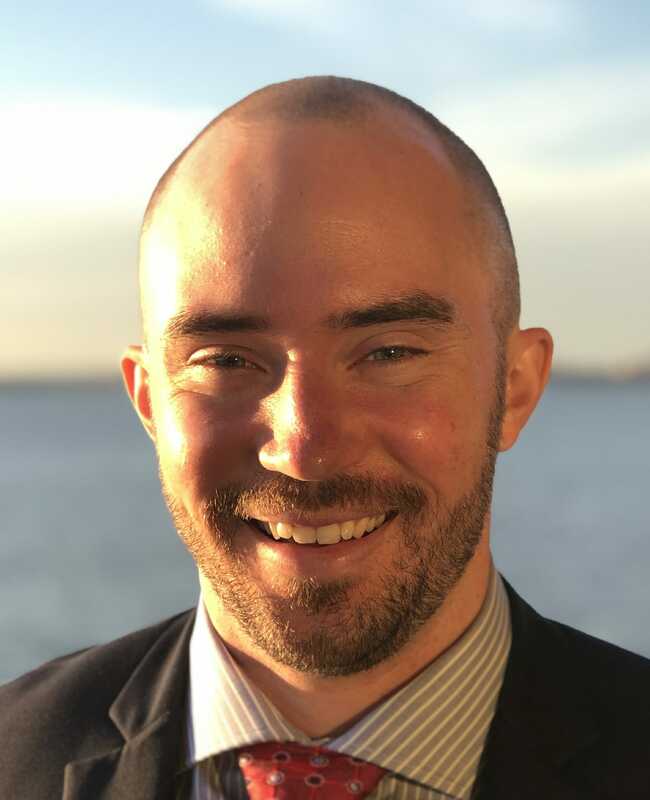 “We believe that ultimate has a tremendous potential to create social change and that it is maybe the best sport in the world for connecting people from different places around the globe,” said David Barkan, CEO and founder of Ultimate Peace. “The fact that it’s called the Global Spirit Showcase, with spirit in the middle, makes it a natural partner for Ultimate Peace because Spirit of the Game is the reason we exist,” he added. There has also been discussion about a possible women’s showcase event between local club team Minneapolis Pop and an international team in town for the US Open. Comments on "Buzz Bullets, AUDL’s Wind Chill To Play Showcase Game, Without Referees"